Hi guys… your pal Donald Fehr here. As you know, you've been selected to represent the NHLPA in today's special "players/owners" meeting. The league released the names of the key owners and league officials who'll be representing them over the weekend, which gave me time to put together this scouting report on the key stakeholders you'll be dealing with today. Have a look, and make sure you're prepared. And remember, if at any point you get confused or lose track of our negotiating points, just look for the window washer outside who looks mysteriously like me wearing a mustache made of duct tape. mouth unless Jacobs says it's OK. Strength: Many of the negative feelings in this dispute have revolved around contract rights for top-tier players, so it will probably be super helpful to include an owner who doesn't have any. Weakness: Occasionally annoys fellow owners by saying crazy things like "Hey, did anyone notice how moving that struggling southern team to a better market made us all way more money?" so he's the new starting goalie. Strength: He also has ownership stakes in Liverpool FC and the Boston Red Sox, so even if this meeting ends in a full-scale fist fight it will still be the most successful thing he's been a part of all year. Weakness: Every time the negotiation teams agree on an updated set of rules regarding unrestricted free agency, he sneaks over during a break and writes "(except for Stamkos)" in tiny print at the bottom. Strength: Unlike everyone else in the room, will probably try really hard not to fall asleep the second Sidney Crosby starts talking. Weakness: He's always ranting about NHL players being cement-headed morons who couldn't negotiate a decent deal to save their lives, then trailing off awkwardly when he realizes his Penguins' co-owner is standing right behind him. Strength: Has earned a reputation as an owner who can quickly achieve consensus with colleagues who may disagree with him. Weakness: He achieves that consensus by pointing a bony fingertip at them and muttering "be gone" until it's just him sitting alone in an empty room surrounded by smoking piles of ash. for "people who hate their jobs these days". 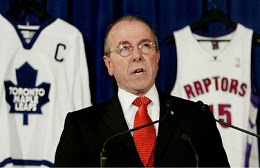 Strength: Is not, in the strictest technical sense, Gary Bettman. Weakness: Whenever he tries to make a statement to NHL fans, he's interrupted after 30 seconds by Frank Luntz looking up from a piece of paper labeled "Mindless Clichés" and yelling "BINGO". Rich people love them some generic grey backgrounds. Strength: Has been one of the league's key negotiators throughout this entire process, so if everyone in the room just listens to everything he says and then does the exact opposite we can probably have this thing wrapped up by lunchtime. 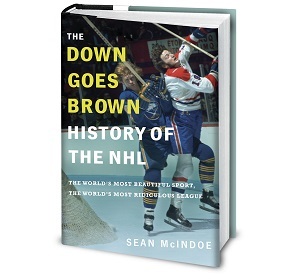 Weakness: Has been known to bore the NHL's most influential decision-makers with fanciful stories of a mysterious far-off place called "the Western Conference". on the other, if all they ever advised you to do was lose. 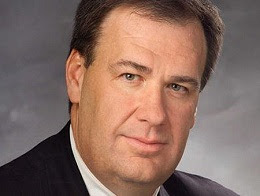 Strength: Is often the very first person that other NHL owners call during times of need, although those calls only ever consist of the other owner repeatedly yelling "Where's my check, revenue sharing boy?" Weakness: Any time the two sides start talking about who should win on a certain bargaining point, he'll make everyone stop and explain what exactly they mean by this bizarre and foreign concept of a "win". Any time they hear a fourth-line player described as “gritty”, fans instinctively try to smother him in cheese and red-eye gravy. 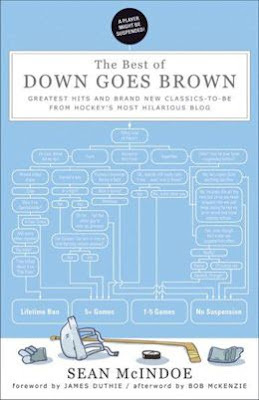 From Signs your city may not be a viable hockey market, one of 24 chapters of brand new material available exclusively in The Best of Down Goes Brown. 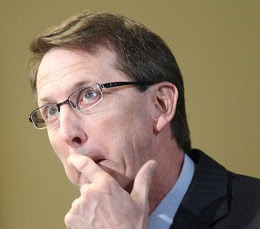 Jeremy Jacobs, is it not? Love Jacobs' picture. Be Gone! The Jacobs' picture is probably your best one in a looooong time, made me laugh really hard. Classic! your blog keeps me from going postal on the entire nhl, bc its really funny stuff dude...that and the fact that i realized they need me much more than i need them. I found other things to do with my time and money. NHL's loss! Only difference between Jacobs and Palpatine... if Jacobs decides to force-lightning the bejeebers out of Sid Crosby, nobody's jumping in. Every few days you make me laugh, then everything is alright for a little while. Thanks! Best DGB in a long time and possibly the best thing I've read this entire lockout. Jacobs..... oh my gosh that was fantastic. These laughs were just what I needed. Thanks! You've seen this on SB Nation, I presume? Pulitzer material, I'm telling you. 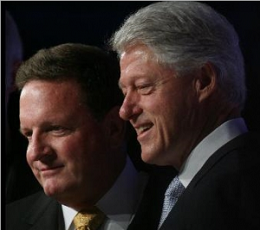 Woodward and Bernstein weep with envy. Absolutely brilliant, you keep making my day whenever you churn one of your masterpieces out. The "what's a win?" line was pure gold! Jacobs joke was great but the finger mouth thing was super clever. I actually googled 'people who hate their jobs these days' and was disappointed. TB owner caption deserves its own blog! Honestly I thought I learned a long time ago to not be drinking anything when reading DGB, and I thought the picture of Sergio Momesso instead of Gretzky in his "farewell" newspaper ad was as good as it got...but man that Palpatine thing probably set a record for distance traveled by beverage through the nose. You, sir, win unlimited internets. 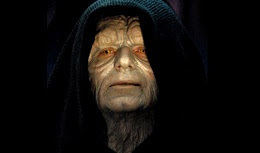 Also, people need to start printing out Palpatine masks with pithy quotes from Jacobs and wearing them to Bruins games. I hate the Bruins more than I hate the dark side of the force, but I would love for that suggestion to be a possibility. Nice work Sean. 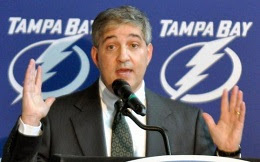 Vinik's scale for success is "this big!" It makes me curious if there is a Gary bettman file on nhlpa negotiators. I'm sure there are plenty of yuks to be had from Steve fehr. 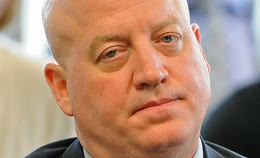 Bill Daly kind of looks like actor Kevin James if he were a burn victim.